Advanced thyroid testing: why checking your TSH level isn’t enough. Make sure you get your full thyroid picture so you can live your best life. Your thyroid hormones affect a whole host of vital body functions like your heart rate, metabolism, skin, growth, heat production, fertility, and digestion. And, if you’ve been experiencing some unexpected weight gain, fatigue, digestive issues, or hair loss, it’s worthwhile looking into your thyroid health. But often a basic thyroid test — for Thyroid Stimulating Hormone (TSH) — isn’t enough to give you the full picture. Especially if you’ve already taken this test and it showed everything was ‘fine’ (in the normal range). Because advanced thyroid testing looks at a range of thyroid function indicators, it can give you a more complete understanding of what’s going on in your body. The interrelationship of these indicators can tell you a lot about how well (or poorly) your thyroid gland is functioning, so you can pinpoint any issues and take action to get things back on track. In this article, we’ve outlined a few key things you need to check to make sure your thyroid gland is functioning at its best. TSH comes from an area of your brain known as the pituitary. While it’s not created by the thyroid (which is found at the base of your throat), it does affect the hormones the thyroid produces. Because this hormone stimulates the thyroid gland, TSH blood levels are high when your thyroid gland is underactive (and needs more stimulation) and low when your thyroid gland is overactive (and needs less stimulation). Usually, the level of TSH in your blood is a good indicator of thyroid function, but there’s ongoing debate about the reference ranges for TSH. This means some people’s results may appear in the ‘thyroid normal range’ even when they have a thyroid condition. T4 (thyroxine) is the main hormone produced by the thyroid gland. Some of your T4 exists as free T4. This means that it hasn’t bonded to protein in your blood and is available for your body and tissues to use. However, the T4 hormone has to be converted into free T3 (triiodothyronine) to activate and start working on your metabolism. This conversion happens all over the body, but it’s particularly active in your liver and gut. That’s why gut health and liver function are so important to maintaining optimal thyroid hormone levels. Importantly, T3 and T4 hormones regulate your heart rate and how fast your intestines process food. This means if your levels are low, you may have symptoms like a slow heart rate and constipation or weight gain. If your T3 and T4 levels are high, you may have a rapid heart rate as well as symptoms like diarrhea or weight loss. T3 tests are often used to diagnose hyperthyroidism (overactive thyroid) and/or to find out how severe the condition is. Thyroid peroxidase (TPO) is an enzyme normally found in the thyroid gland that plays a role in the production of thyroid hormones. A TPO test looks for antibodies against TPO in the blood. These antibodies act like ‘soldiers’ that mistakenly see parts of the thyroid gland as foreign invaders and attack them, causing inflammation and an impaired thyroid. These antibodies are created by the immune system, and can be detected in blood tests 10 or more years before changes are seen in other thyroid blood tests. Because the presence of TPO antibodies can increase the risk of future thyroid disorders, understanding this risk allows you to take steps to prevent issues. For example, some supplements like selenium and iodine can help prevent thyroid issues — but always speak to your doctor first. 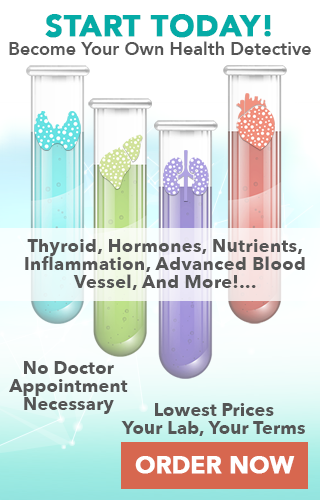 Are you ready to get the full picture on your thyroid health? Dr. Alan Hopkins is a graduate of Loma Linda University School of Medicine where he was elected into the prestigious Alpha Omega Alpha Medical Honor Society for leadership and academic excellence. He is board-certified in Emergency Medicine and completed an A4M fellowship in Anti-Aging Medicine. 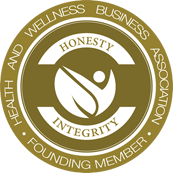 He’s an advocate of innovative medical care and is on the board of directors of several private companies to assist them in developing strategies that are consumer-oriented and patient education-based. I am pleased that Ӏ discovered this website, јust thе rіght info tһat I was searching fоr! GET FREE INSIDER HEALTH RESOURCES, NEWS, AND EXCLUSIVE OFFERS FROM YOURLABWORK!